Put your imagination to the test and create entirely new worlds through tycoon games! Picture this: My dad’s house. I’m only a kid in elementary school. I’m sitting at his computer wondering what in the world I should do with my life when he comes in and offers to show me a new game. I quickly move out of his way and watch as he inserts a CD into the computer. 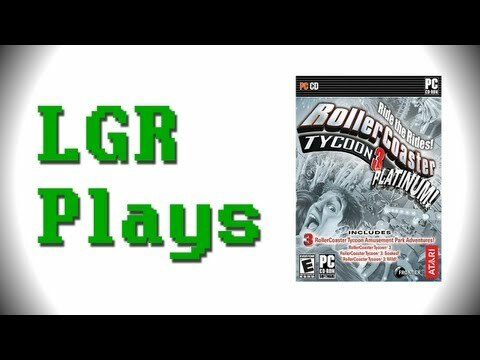 After what feels like only a bajillion seconds I see the title of the game that I will be playing well into my adult years: Roller Coaster Tycoon. 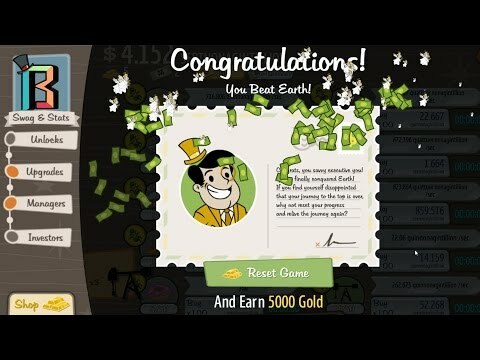 While I have enjoyed playing this game the most, there are several other Tycoon games, and they just keep coming out with more! Some end up as a huge success, while others could have been better. 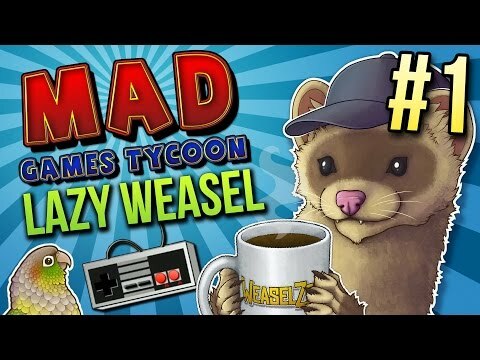 So you ask me, “Melissa, which of the Tycoon games are the best?” Allow me to introduce you to the top 21…and the gameplay, though simple, will keep you busy! 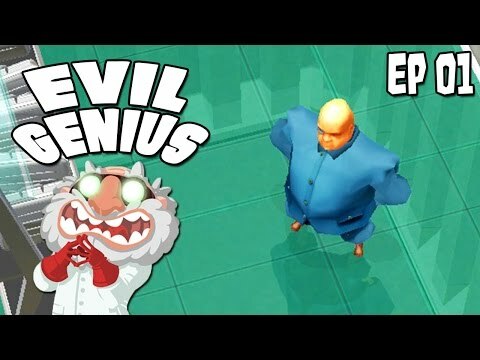 Superheroes and saving the world is all the rage right now, but in Evil Genius it’s all about becoming the all time greatest villain by building a lair that your enemies will crave and inventing weapons that make humanity lose hope. Keep your minions happy and healthy, so they’ll carry out all of your evil bidding, and become the infamous bad guy you know in your heart you were always meant to be! My favorite part of this game is how the minions each seem to have their own personality. Some can endure more than others, while some are smarter than their partner. This game is humorous and the gameplay will keep you busy! Eliminate those who have come to spoil your evil plans! Build a master lair for you to carry out your evil plans! 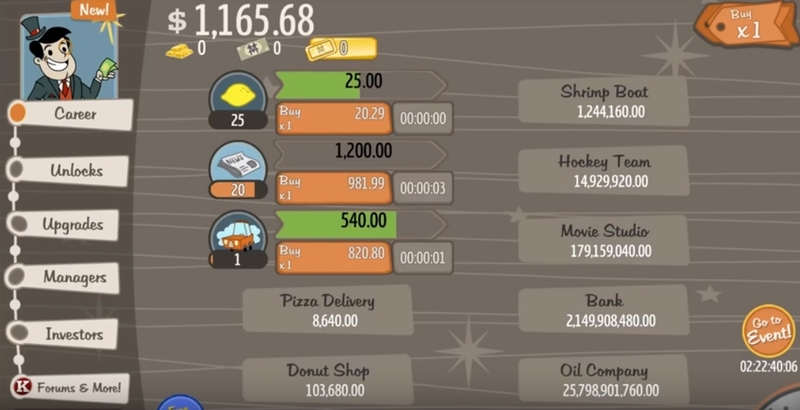 In Adventure Capitalist, you are buying into different businesses and making a profit off of them. A lemonade stand is the first and most obvious choice when getting into this business. As you earn money from that lemonade stand, you can purchase more of them or invest in a new source of income, such as a newspaper business or even a donut shop! This game is addicting and will keep you coming back for more! If the man in the corner who looks like a younger version of Mr. Monopoly doesn’t get you to keep with it, then feeling like you have a ton of money when you actually don’t will! This game will get you thinking that maybe you’re in the wrong business after all! This young version of Mr. Monopoly is there on your screen to watch your every financial success… And failure! This simple screen make it easy for you to achieve billions of dollars that you will most likely never see in real life! This game is all about creating your own gaming production studio. You have quite a few options at first to choose your logo, which country you are based in, and even some special characteristics for your company. As you play, you can hire a staff, cater to what gamers are really into at the time, and build your production studio to become the greatest studio to ever exist! 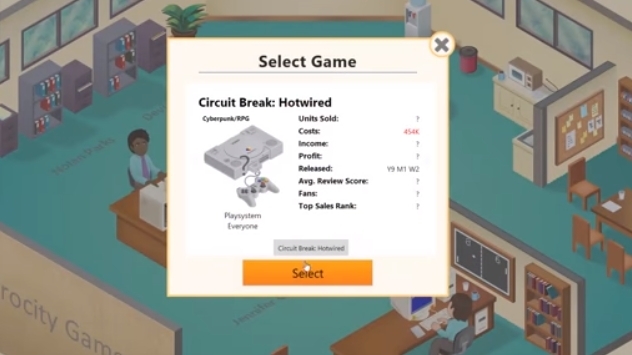 What makes Mad Games Tycoon unique is the fact that you aren’t only trying to produce the greatest video games of all time, but you also have to take an interest in keeping your employees happy. Build break rooms, bathrooms, and just give them their space sometimes! You can’t just work them to death! ...Can you? Option screen for creating your wide variety of games. Build the greatest game production company of all time! 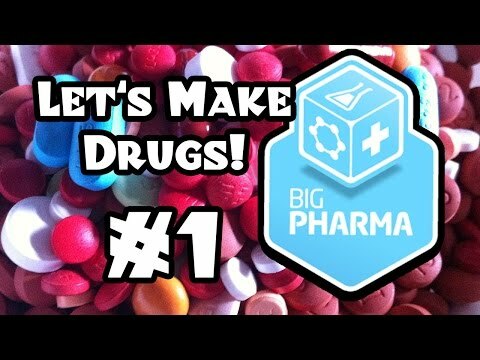 If you’re interested in building up an incredible company that produces drugs, then Big Pharma is the game for you! Your goal is to bring good health to the world and make $1,000,000 in revenue to win the game! It takes strategy to play this game as it isn’t easy to meet this goal when you have rival companies going for patents on cures that could have made you ten times richer by now! Big Pharma starts you off in a plain factory with ugly pink, or red, floors, but it isn’t too bad as you’re quickly laying belt lines and machines for your first drug production. It looks pretty simple at first, but you’re going to have to get strategic with how you lay out your factory to fit in as much as possible! As your first drug is sent out into the world, you are able to check the stats on it and see how successful it’s doing what it’s supposed to, or you might see you how terrible of a job you did producing it. Build your factory any way you wish to get the most out of your space! Any business needs a little help when starting up, and yours is no different! Choose the loan that will best suit your needs! 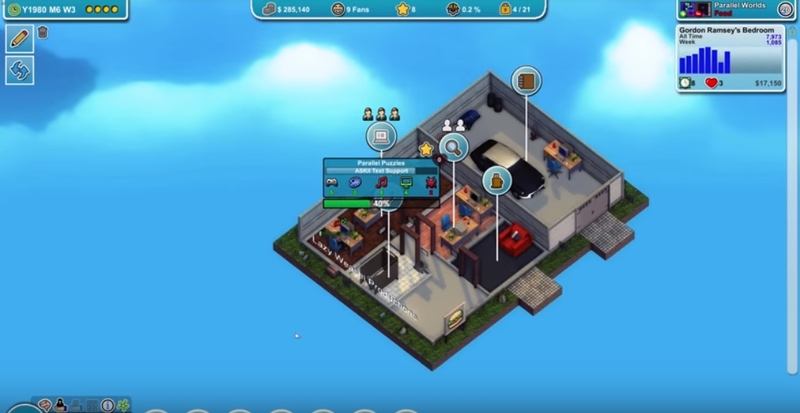 Similar to Mad Games Tycoon, in Game Dev Tycoon you are starting up a game production company in order to become the top of the industry. You begin by designing games in your crummy yet brightly colored garage! You could be a hit and move up to having an actual studio, or you could hit bankruptcy rather quickly. This game is simple, gives you some challenging tasks to overcome, and will give you pride and satisfaction when you become the ultimate video game designer! Who knows? Maybe you could design a game of Game Dev Tycoon on Game Dev Tycoon! As a brilliant but broke game designer, you will start off in your garage designing just the right video game to get your company up and running! You will eventually work your way up to having a nicer studio and several happy employees working under you! 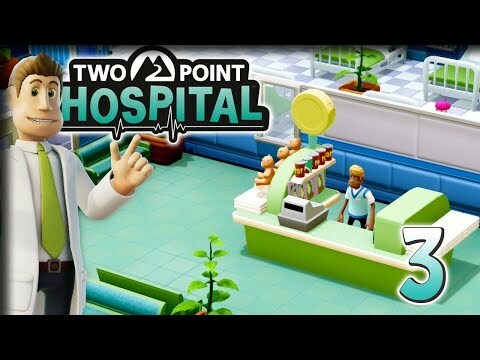 Coming in at number 16 is Two Point Hospital. 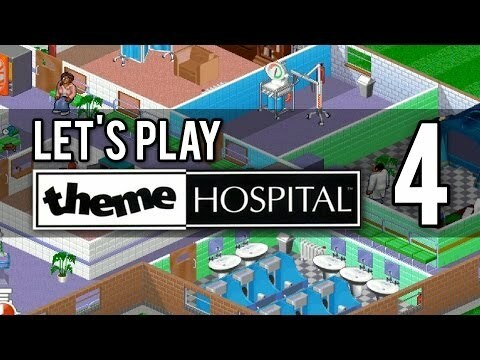 In this funny sim like game, you are in charge of building a hospital, curing as many patients as possible, and training the best staff your hospital can have! This game is unique in the fact that it is full of… oh, what’s the word… hooblah? Strange illnesses pan your city, a little over half of your patients leave feeling better, and only part of your medical staff has a degree! Sound like a recipe for a disaster? There’s only one way to find out! Strange illnesses turning people into mummies and ghosts have overtaken your city, and it’s your job to cure them! Or you can be like the guy in the corner and just continue getting your coke. Your choice! Hire the appropriate staff that have the best chance of getting people in and out of your hospital! 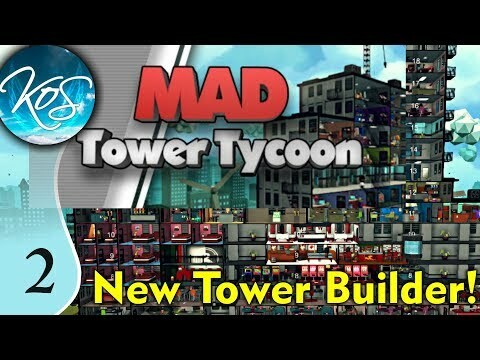 Build the most incredible skyscraper you have ever laid eyes on with Mad Tower Tycoon! Start with a few simple rooms and add on apartments, office space, restaurants, movies, and so much more! With the ability to add over 100 floors, the possibilities are endless! The graphics on this game are pretty simple, but they are still attractive to the gameplay. The people that you see walking around remind me of the Little People that my kids play with at home! It seems pretty straightforward, alters between day and night, and gives you a chance to be involved in every part of building/managing your skyscraper! 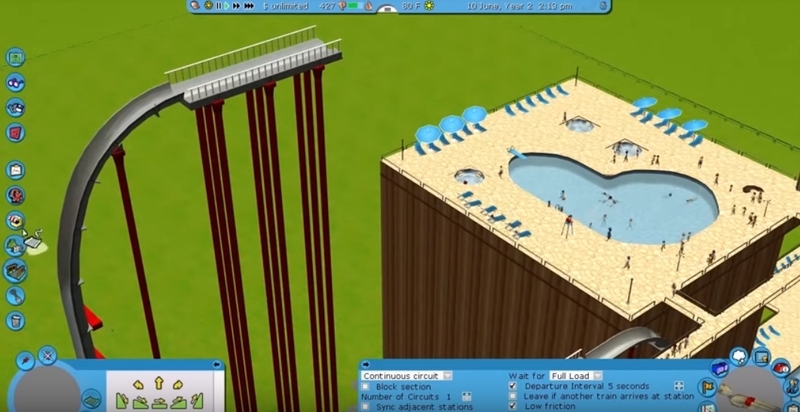 Build skyscrapers that can be over a hundred stories! It’s like building an entire city in a tall building! Include restaurants, entertainment, and shops in your skyscraper to attract more visitors! Next up on our list is Mashinky, a strategy game where you play by certain rules to create a “transportation empire.” Trains will be your focus as you build tracks through beautiful green land to transport different goods from depot to depot, and you may even have a quest here and there thrown your way. I feel like this game looks the most realistic out of the games we have on our list so far. The scenes are beautiful, and you get to zoom in and watch your trains go about their day, but you can also control them if need be. To make it easy to lay out your tracks, you can switch modes to view the land and objects on a grid, which is incredibly helpful! Mashinky has beautiful graphics that will make you feel like you are really a part of the game! Zoom out to lay train tracks and keep everything going as scheduled. If you’ve dreamed of designing and selling fancy sport cars or safer family cars, then you should look into this newer Tycoon game called Automation. In this game, design your car any way that you’d like, within reason of course, then put it out in the world to be driven around and adored by all that lay eyes on it! This game gets into detail when it comes to designing your cars. There’s many options for the smallest of things from what’s going on in the engine to larger, more expected things like the body style and color of your car. You can do this for fun or accept some of the challenges to keep the game interesting! Let’s get technical! Design even the smallest details in the engine to create your dream car. Make sure that even the finishing touches on your vehicle are just right before sending it out into the world. 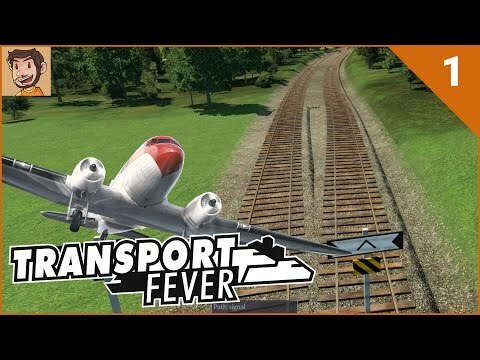 Another transport focused game on our list, Transport Fever starts you off building a railroad in the 1850s, then as time moves forward more types of transportation becomes available, such as planes and boats. This game involves more modes of transportation, which I personally enjoy, and the graphics are still pleasant to the eye. It isn’t set in only one time period, so you’ll get a nice change of scenery as everything advances through the game. It can get pretty boring after looking at the same thing time and time again, but this game offers you a fresh, ageless perspective. Design complex railroad systems to get passengers and products to where they belong in the most efficient way possible. Transport Fever takes you to the water by bringing different types of boats in the game and allowing you to build canals. To be honest, I sometimes would love to just escape away and start over in a new land from scratch. Thankfully, I don’t actually have to do that in real life and can enjoy a similar sensation through a game such as Banished. Having been exiled from their previous home, a group of people look to build a new life in an unknown land with few resources. You start off with a certain number of people, but as time goes on new people are born and age over time to grow your new city and take on the ever increasing amount of jobs that come with building a new town. There’s a lot that goes into planning all of this out! It seems like the perfect game to play if you’re looking for something a bit more chilled out. Farm the land to provide food for your village. Laborers will work the field to get the crops ready for harvest and to the table. Life gets tough for the villagers in the winter, but with you there to take care of them they surely have nothing to worry about! Scoring our number ten spot is Zoo Tycoon. Here you will be building and managing your very own zoo. As you play the game, each level becomes increasingly difficult as you manage rowdy animals, including the guests, and upkeep your park. Add new attractions, decor, and food stands to keep everyone happy along with improving the life of the animals behind bars. 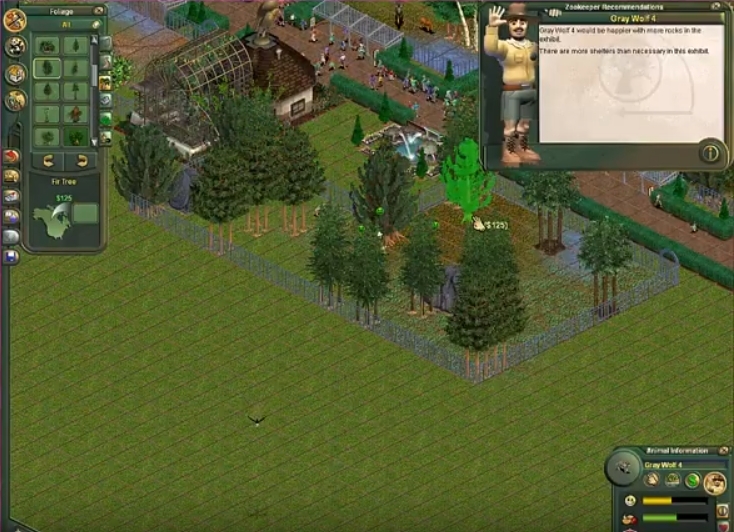 Zoo Tycoon is not one of those games where if you forget to close a door then nothing happens. These animals don’t like their cages, and they will escape to terrorize the guests at your zoo. Unfortunately that would mean losing those safety awards that it took you so long to earn, but it was an accident, right? Build beautiful buildings for your guests to enjoy and cool off in as they enjoy all of the animals you’ve put in your zoo. Don't forget to add food stalls and restrooms nearby for guests to hide in if your animals escape! 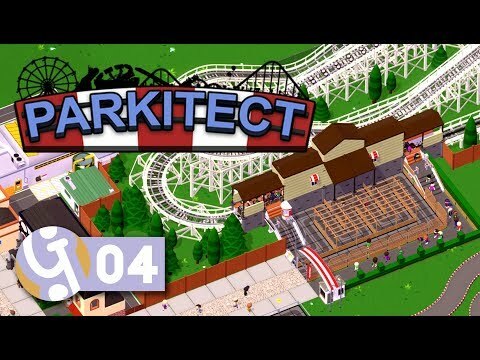 If you think that you can build amusement parks better than the ones you’ve been to, then it’s time for you to put your supposed skills to the test using Parkitect! 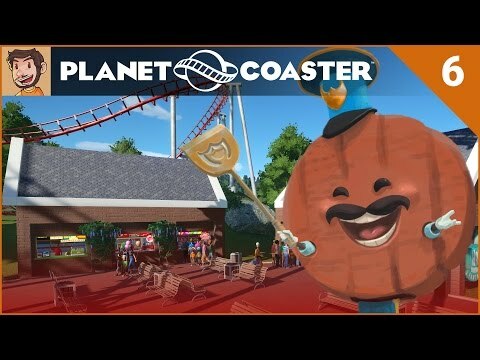 Get into the game and design your park from scratch by adding rides, food stalls, and properly placed scenery that keeps the ugly parts of the park hidden. Not only do you place coasters around your park, but you build them to meet your expectations. I don’t ever think about covering up those behind-the-scenes parts of theme parks, but this game makes it a blatant point to make sure you do. This gives scenery an actual meaning besides just looking pretty, and I like that. Build shops that your guests will have no choice but to walk into and buy everything they see! Exciting roller coasters and water slides will keep guests coming back for more as you build them bigger and more intense than ever before! Having crash landed in an unknown territory, the best skill that you hold dear to you just might save your life: engineering. 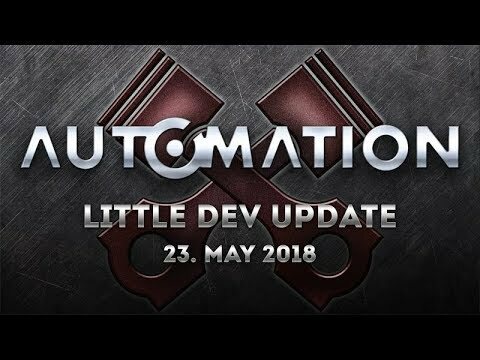 Build machines, transport products, and expand your factory to new territories as you become the greatest engineer of all time in a land that once new none of these things. But beware… Inhabitants of the land will come to hunt you down and take out your creations. 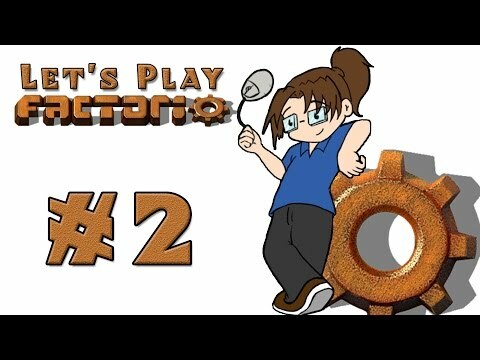 Factorio is a complex, strategy driven game that involves some intense thinking. Imagine all sorts of belt lines running, different products being made in machines right up next to each other, and trying to find a place for all of them to go in a small space. You eventually have so much going on that it might make you a bit dizzy to watch! 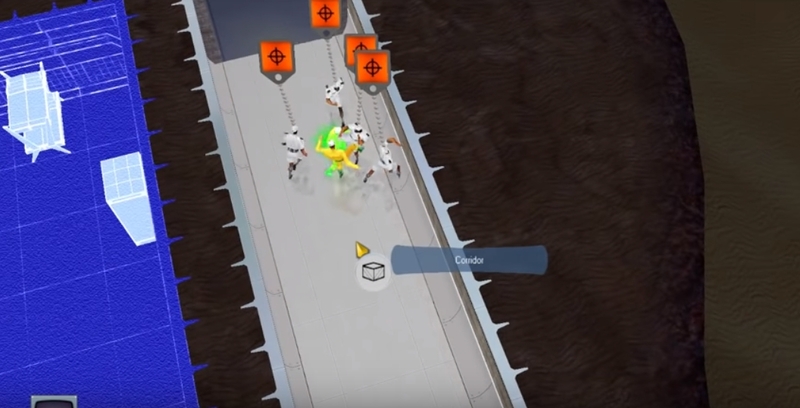 Build complex factories that will build your fame as an engineer and keep you alive from outside forces seeking to destroy everything you’ve worked for. Keep artillery close at hand to defend yourself against inhabitants who want their land back. Rolling in at number seven, Roller Coaster Tycoon 3 Platinum Edition is another game that allows you to build and manage a theme park. Challenges arise for you to exceed and overcome as you try to maintain happy guests and a clean park. Keep guests coming back with new attractions that are always rolling out behind every lurking corner! What intrigues me about this version is the fact that it is 3-D. And no more do you have to design awesome coasters and water slides that you get to watch others enjoy, but you get to enjoy the thrill of your creations, too. Roller Coaster Tycoon 3 Platinum Edition brings a fresh perspective to the series. Build and manage elaborate theme parks such as this tropical paradise that will keep guests, and yourself, coming back for more! The sky's the limit in the numerous attractions you can design! This shipwrecked whirlpool is something that needs to happen in real life! 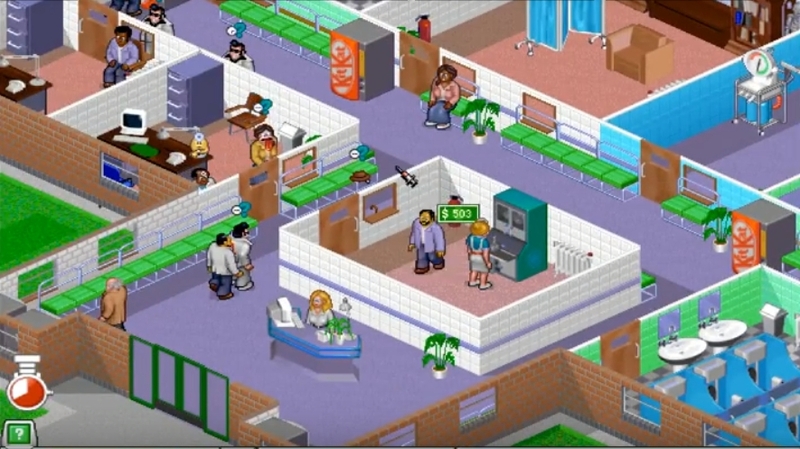 Hospitals can be a stressful place, so why not give them a chance to brighten your day through Theme Hospital. Expect poorly trained doctors to get you the help you need, cure curious illnesses that cause you to dress like Elvis or grow lots of hair, and expect a humorous twist around every corner! You get to enjoy all of this and more as you grow to be the best hospital in the area! Being able to lay out your hospital any way you’d like gives you a bit of a way to change up the game each time you play. Kooky characters wander the halls of your prestigious hospital, and I happen to enjoy the made up illnesses that they happen to possess. Build the perfect hospital to take care of all of those sick people that keep walking into your doors for some reason! Tropico 4 gives you the chance to rule over the perfect island. Pass new edicts, rebuild your city after disasters, and make Tropico the perfect place for tourists to visit! Don’t forget to keep up your relationships with foreign nations to keep trading running smoothly! The city of Tropico is appealing to look at with the soft colors on the buildings and palm trees swaying in the wind. It gives you a chance to really get involved in the nitty gritty of running a town on an island. It doesn’t just include a perfect city, but you have disasters to worry about and foreign relations to take care of, so there is plenty to keep you busy for a while! 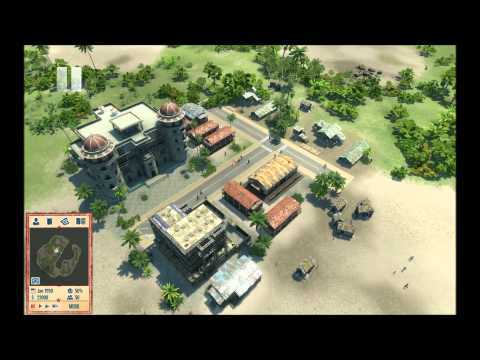 Tropico 4 gives you many new features to play with and disasters to avoid as you strive to create the perfect utopia. The beach isn’t too far away for your residents to enjoy and will keep tourists coming back for more of a taste of this pleasant life. 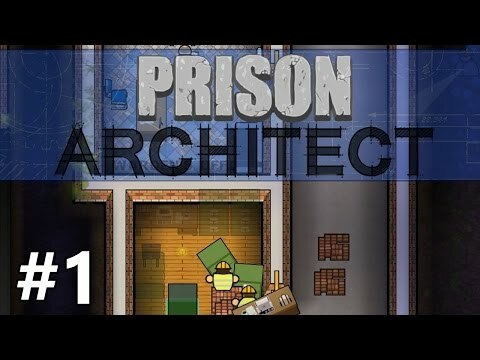 Come on down and run the prison of your dreams in Prison Architect! 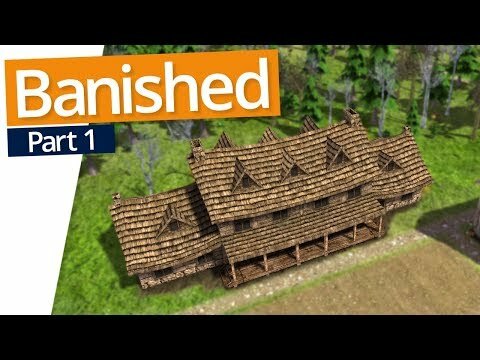 Build everything up from scratch, hire your staff, and wait for your first prisoners to arrive! Keep a good eye on your prisoners, as they can turn on anyone at any time and cause chaos to ruin your perfect day behind bars! Be prepared to deal with deadly and volatile prisoners! Some may even need your protection from them, as they’ll be known for snitching on other prisoners to you. It would be helpful to have someone on the inside who can give you good information on what’s going on, so keep your eye out for potential informants! Expand your prison to make room for all of these lousy prisoners who keep taking up precious space! Keep your staff close and your prisoners closer so that you can avoid or be prepared to handle unexpected riots and other disasters that prisoners cause. 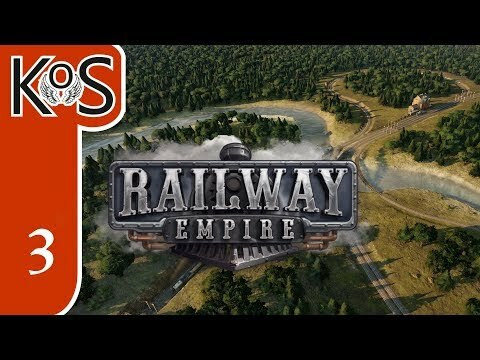 Rule over the railroads in Railway Empire. 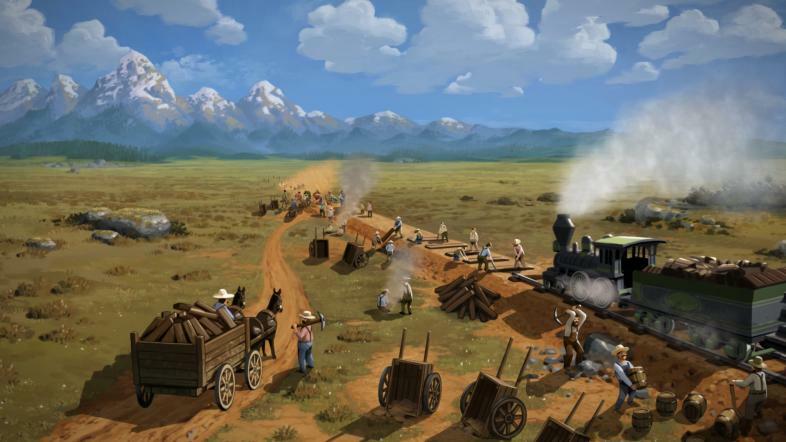 Start out in the Great Plains and expand your railways from there through different campaigns and challenges. Be ready to deal with feisty competitors who aren’t especially welcoming to newcomers on their turf! Jump aboard and ride away into another world that will have you deciding how to lay out your railroads in such a way that’s pleasing to the eyes of all who ride across the country. Expand across the horizon and deliver products quickly to places who knew no railways before you came along. Build your empire and rule the nation’s railways as no other could have done so before! Choose the perfect train to help you achieve your goals of building a Railway Empire. 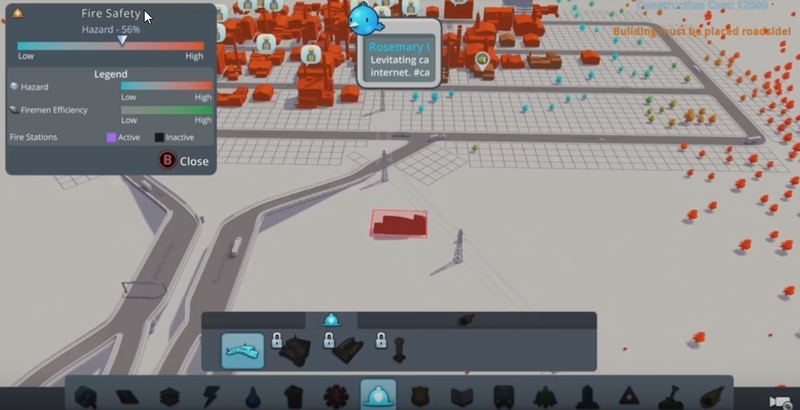 Get those tracks laid out to keep merchandise flowing and get cities connected! Bring back those fond memories from your childhood of visiting the most incredible amusement parks in Planet Coaster. Design and manage your park, celebrate as you conquer challenges presented to you, and keep your guests happy with new attractions that are just waiting around the corner. Enjoy a beautifully detailed 3-D experience in this game. Even design coasters and the stations they leave from with your own personal touch. You will design a park that not only your guests won’t want to leave, but you won’t either. Get up close and personal with your guests as you build the perfect theme park to keep everyone entertained! Lay out beautifully detailed shops and rides for everyone to enjoy and adore! Number one on the top 21 best tycoon games for PC has well deserved its’ place: Cities: Skylines. As a city simulation game, you need to plan, build, and manage the city that you’ve always dreamed of living in. The sky’s the limit to how you can design this paradise! Not only do you have to lay out the city, but you need to plan out how you’re getting utilities to each area and design roads that lead to the least amount of traffic jams possible. Provide jobs to your residents, give them access to great hospitals, and don’t forget to drop in a cemetery! 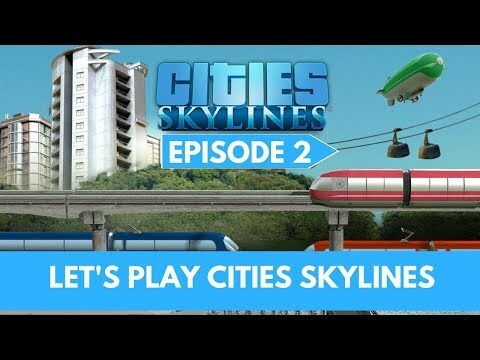 Several modes of transportation exist in City: Skylines to give your residents several options to get around town. There are food trucks galore trying to make a buck or two off of your residents! Click away to earn more money in the different businesses you own!